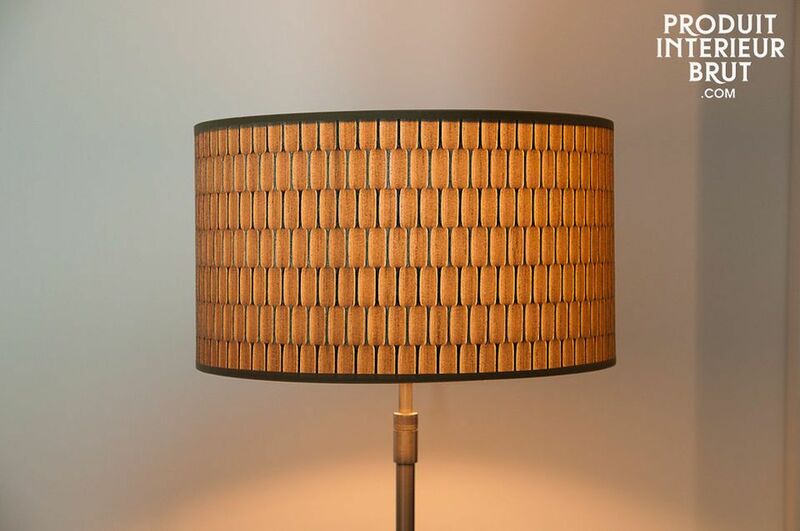 This Bromma lamp will add a retro-chic touch to your decoration with its textured fabric lamp shade to diffuse softened light. 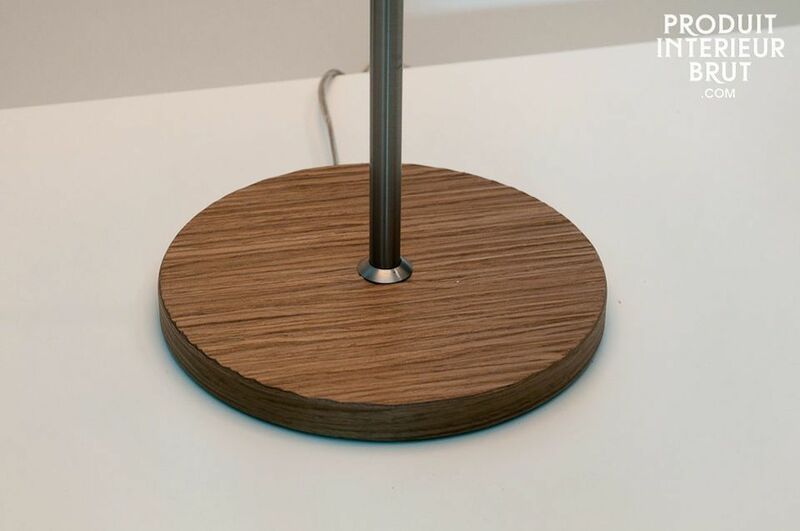 Its solid walnut base with worked grooves is circular, as is its stainless steel foot and its lamp shade for a particularly minimal and elegant silhouette. 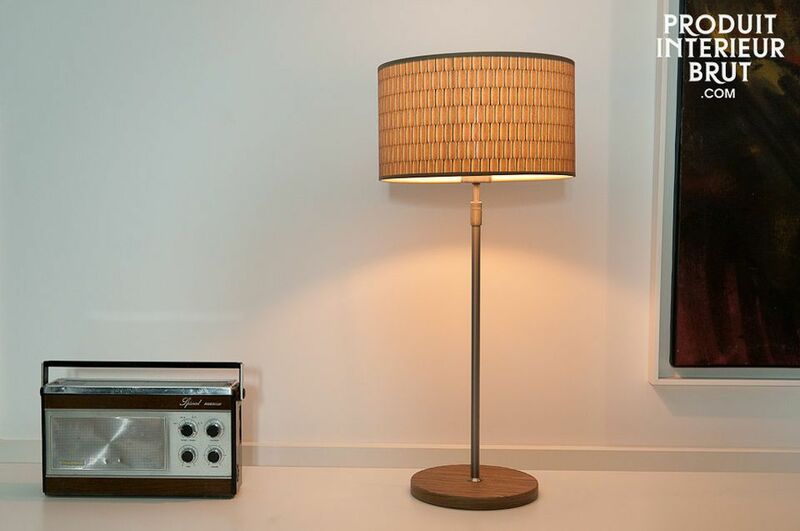 The Bromma light's lamp shade has a distinctive pattern inspired by the 1950s. Ideal lighting to go with furniture with austere lines, such as a Scandinavian sideboard, console or wooden desk. You will particularly appreciate the practical telescopic foot, which will enable the height of this lamp to evolve along with any changes to your decorating style. 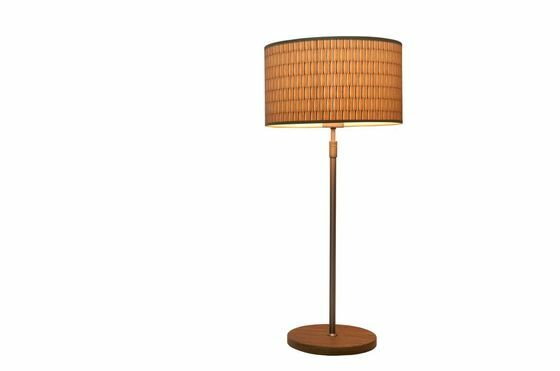 This lamp will fit just as well in a vintage-style interior as in a contemporary setting. Overall height of the lamp: 58-78cm. Lamp shade diameter: 30cm, height 16cm. Works with a low-energy screw bulb (standard E27), 18 Watts maximum.